If you happen to be dating, searching for someone to new love or are currently in a relationship, have you ever wondered to yourself what does a man or woman determine while they are with you if the want to spend the rest of their life with? I know to some that may happen to be reading this, may think that this is a very interesting question. Beyond the good looks, great personality, being well dressed, having a successful career and being faithful these things alone aren't enough to keep the man or woman that's interested in you happy. Because there is so much more to life than having good looks, being a great lover or making good money, if the person you are interested in can't add to your life, then whatever they possess won't mean a thing. In other words getting alone with them in public is one thing, but also getting along with them behind closed doors is another. That's why everyday in a man or woman's secrete thoughts, there are a couple of questions that burns deep inside them. What can this person offer or really add to my life? If I commit to them what will I personally have to sacrifice or what will they take away? Can I or they truly function in each others world? These are the questions millions of men and women worldwide ask themselves in secrete everyday, because commitment is serious and before anyone can truly take their relationship to the next level these questions have to be answered. That's why First Impressions are so important, because these are the very early stages or building blocks to every relationship. 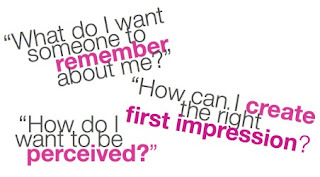 Why are First Impressions so important you may ask, well because these are the first seeds of thought that you or your date is planting in each others hearts or minds. First Impressions don't stop with just a first date or phone call, but also with a first kiss or hug and even after the first time you have made love. Then there is the first visit to yours or theirs home and even a trip to each of your respective family's or church. A lot can be learned just from these simple things and it can also determind in your man or woman's mind if they see you as someone that they can be with, short term or long term. Don't think for a minute that your man or woman isn't observing you and collecting their thoughts about you. In fact they are looking at you from head to toe, even observing how you behave yourself in public or behind closed doors and they are watching how you clean yourself especially your hygiene. For example if your man or woman happens to be very clean or neat and you are not then you may already have a problem. They may not tell you at first but it could be one of the reasons why they haven't fully committed themselves to you. Because they are afraid that if they live with you or even marry you this is something that they may have to put up with. These are just some of the First Impressions that keep many relationships at a standstill. As my mother would always say you are never completely dressed without a smile and always make a great First Impression! Because what they first see or observe can stay in that persons thoughts for a lifetime. If you are having problem in your marriage or relationship please contact us at holmes0915@gmail.com we will be glad to help you with your problem.